Scribal loyalties: A note from a new post-doc. 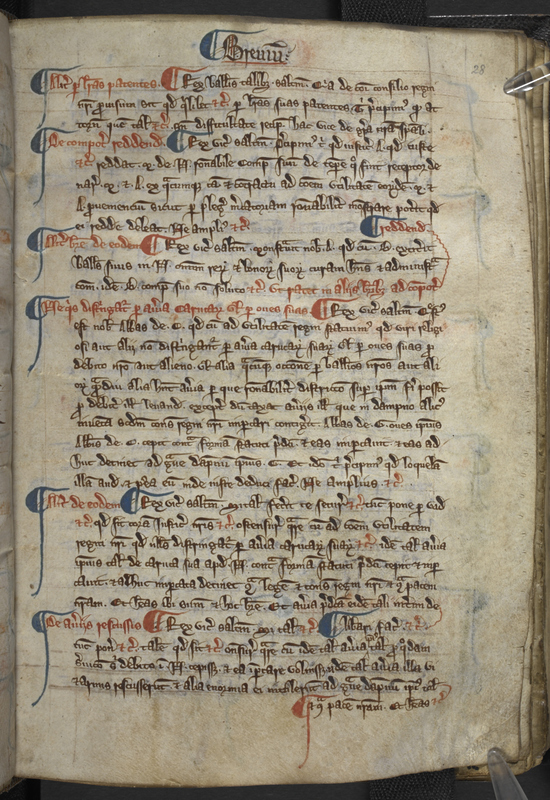 Reading and transcribing medieval manuscripts is a task that is humbling and exhilarating in equal measure. It is a very immediate way in which to bring the past back to life; a direct link to the physical presence of the great thinkers and writers we study. They bear witness to profound achievements attained without the use of the modern technologies we take for granted, and to the creative and intellectual capabilities of humankind regardless of time or place. Through my role in the Ordered Universe project I have the privilege to carry out this sort of work on a regular basis: my task is to compare the medieval copies of Grosseteste’s works to find the most trustworthy version of the individual texts, and then render that text in an English translation. In some way this is as close to Robert Grosseteste the thinker as we are able to get so many centuries later, and the image thus brought into focus is indeed worthy of reverence. The subtlety, complexity, and originality of Grosseteste’s thinking are nothing less than dizzying. The manuscripts preserved bridge the gap in time between Robert and myself, but the lofty heights of his intelligence open up another gap between us, at least as deep as the chronological one. And yet, working on these manuscripts has made me experience a certain tribal loyalty; not with Robert himself, but with the scribes, now unnamed and anonymous, who copied the text to make it available for an expanding readership. The copies now preserved are in the main dated to a century or more after Robert’s death, and they show that I am not the only scribe to be confused and bewildered by the intricacies of Robert’s arguments. The denser the scientific argument, the more the various copies diverge from one another. It seems clear that the scribes copying the text lost track of the trajectory of Robert’s argument, and in such situations mistakes come very easily indeed. This is a feeling I have little problem identifying with; my own background in history and Latin does not leave me equipped to understand dense mathematics, optics, or physics. So even if the divergences between the various copies of Robert’s treatises can be infuriating, I cannot blame the scribes too harshly; I know how they must have felt. 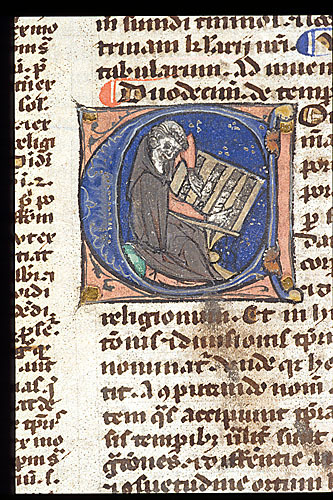 But of course I have some enormous advantages that show, in contrast, just how impressive the achievements of the medieval scribes are, after all. 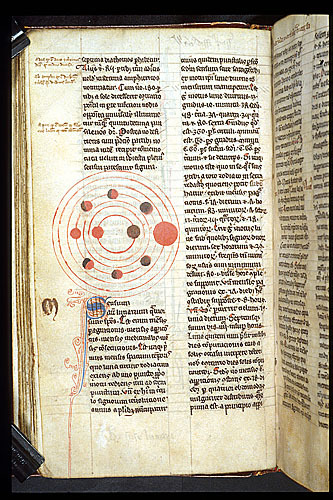 The medieval scribes in their scriptoria did not have access to lightening-fast enlightenment through the Internet; and, more importantly, they did not have a group of scientists around, generous in sharing their knowledge. This, to me, is the most joyful part of being a member of the Ordered Universe group. While no single individual among us is capable of taking in all aspects of Robert’s thought, the group as a whole can, through our collaborative readings and discussions, come to grips with the material in a way that helps overcome the remove of time and the various scribal errors and misunderstandings. Several times now, the scientists in the group have been able to identify the trust of Robert’s arguments in a way that has allowed us to go beyond the corrupt versions we currently have, and reconstruct Robert’s now lost original. So I have little cause for arrogance in the face of the mistakes the medieval scribes made. On the contrary, I cherish the tribal, scribal loyalty that we share. But for their persistence in the face of Robert’s complex thinking, we in the Ordered Universe project could not have done what we do.